St. David’s was organized in 1848 as Austin’s first Episcopal church. 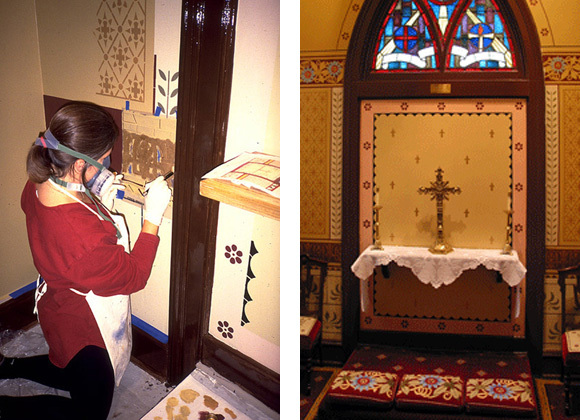 Reorganized as Church of the Epiphany in 1851, construction began on the current building in 1853. The Church of the Epiphany merged with Christ Church in 1859, creating St. David’s Episcopal Church. Since its construction, the Church building has been modified and expanded numerous times to meet the needs of the growing parish. It’s Gothic Revival appearance dates to 1870, when it was stuccoed and enlarged, including construction of a bell tower and flanking, crenelated bays. 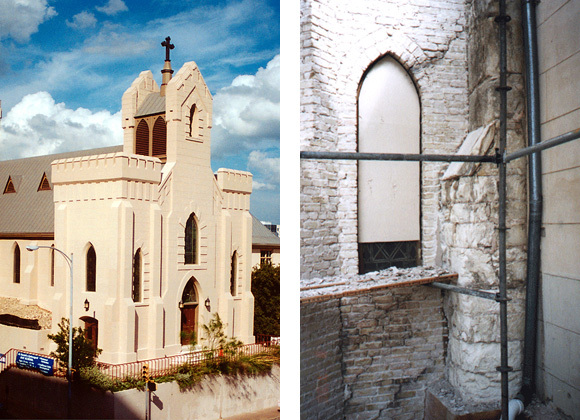 Volz & Associates has provided ongoing architectural and interiors services for the stabilization and restoration of St. David’s since 1986.